Phantom of the Opera star and the world’s best-selling soprano, Sarah Brightman, is set to start her training routine at Russia’s Star City before a 10-day journey into space. The September trip will cost the singer $52 million. The singer was expected to arrive at the Star City on Wednesday. On Thursday, Russia's space center officials said Brightman's training was rescheduled for next week. By that time she is supposed to meet the team. Brightman aspires to become the eighth space tourist to visit the International Space Station (ISS). Her flight was negotiated two years ago and if all goes well for the singer, she’ll find herself aboard the Russian Soyuz spacecraft heading for the ISS in September. Two other crew members on that flight will be Russian cosmonaut Sergey Volkov and European Space Agency astronaut Andreas Mogensen. Brightman has already undergone extensive mental and physical testing in Star City just outside Moscow and has been cleared to train as a cosmonaut. 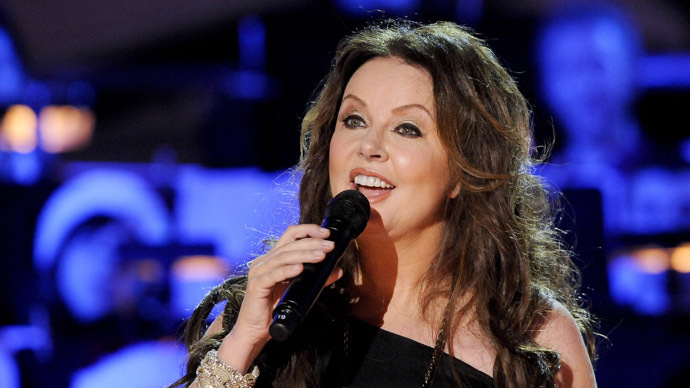 Brightman, who has sold over 30 million CDs, starred in the original London and New York productions of "The Phantom of the Opera" and was previously married to composer Andrew Lloyd Webber. The soprano was able to feel what it’s like being inside both the Soyuz and ISS in April 2014, when she visited Johnson's Space Center in Houston and was taken into a model of a spacecraft. Brightman posted many photos from the place. “A moment of pure happiness,” is how she described her feelings on board the imitation Russian spaceship. Brightman’s personal website says she is comparing the anticipation of her spaceflight to being in love. The idea of making it into space has haunted her ever since she was a little girl and saw TV coverage of Apollo 11 touching down on the moon, she says. Brightman’s ambition is to become the first professional musician to record a song from space. The first space tourist was US entrepreneur Dennis Tito, who made his flight in 2001 for $20 million. The ISS’s most recent tourist was Cirque du Soleil co-founder Guy Laliberte in 2009, who paid $40 million for the trip. The only woman to have taken a tourist ride into space was Iranian-born American engineer Anousheh Ansari, co-founder and chairwoman of Prodea Systems. Her flight took place in 2006 and cost her $20 million. If Sarah Brightman does not make it into space for some reason in September, there’s a backup tourist selected for that flight. It’s 51-year-old Japanese businessman Satoshi Takamatsu, who will be undergoing training in Star City alongside Brightman. The final decision will be made 40 days before the flight after a medical commission examines the candidates.